Liquor licensees — changing the rules in the middle of the game? At tonight’s City Council meeting some rules got changed in the middle of the game. That was unsportsmanlike — and it was not business-friendly. 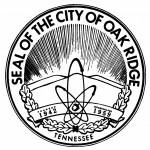 Oak Ridge has an ordinance (dating back nearly 50 years) requiring that owners and operators of retail liquor establishments (liquor stores) must be city residents, unless Council votes to waive the requirement. And Council has routinely waived that residency requirement for everyone who requests a waiver. I’m not aware that anyone was ever denied a waiver — and very few liquor sellers actually live in the city. Since we don’t require owners of any other type of business to live in the city and since the residency requirement hasn’t been enforced, it doesn’t make a lot of sense to keep it on the books. It’s just one of several antiquated ordinances related to liquor that need to be updated (a topic I’ve discussed with legal staff). But we have to live with it for now. Tonight Council considered a request for a residency waiver and a “certificate of good moral character” from two young men (I think they are brothers) who purchased a long-operating local liquor store and needed city council approval in order to get a state license. 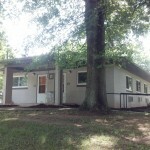 All the usual checking of police records, etc., had been done to verify that they met the legal requirements for “good moral character,” and one of the young men even told us that they used to live in Oak Ridge and hoped to move back here (from Knox County) after getting into business here. I expected they would receive the approvals that are routinely granted to liquor license applicants, but it didn’t happen. One Council member said he wanted to support local small business, and he wasn’t sure he likes the residency requirement, but he would vote against a waiver because he didn’t like the idea of waiving the residency requirement. He said he understood that it had been waived in the past, but he had never voted for a waiver and he didn’t want to start now. Another Council member apparently agreed with him and voted not to grant the waiver. Two “no” votes was enough to defeat the resolution because it needed 4 votes to pass, and there were only 5 Council members voting (Councilwoman Trina Baughn was absent and Mayor Warren Gooch had recused himself due to a possible conflict of interest). So two young men who invested in a local small business and were eager to get started are being told “no” because of Council members who decided to change the rules in the middle of the game. In my book, that’s arbitrary regulation — the exact opposite of “being business-friendly.” I hope that this action doesn’t lead to the closure of the store these young men bought. So my question to everyone is what do we call downtown? To me, the old Jackson square is technically downtown Oak Ridge, not the Mall, but most of the newer development is around the mall. 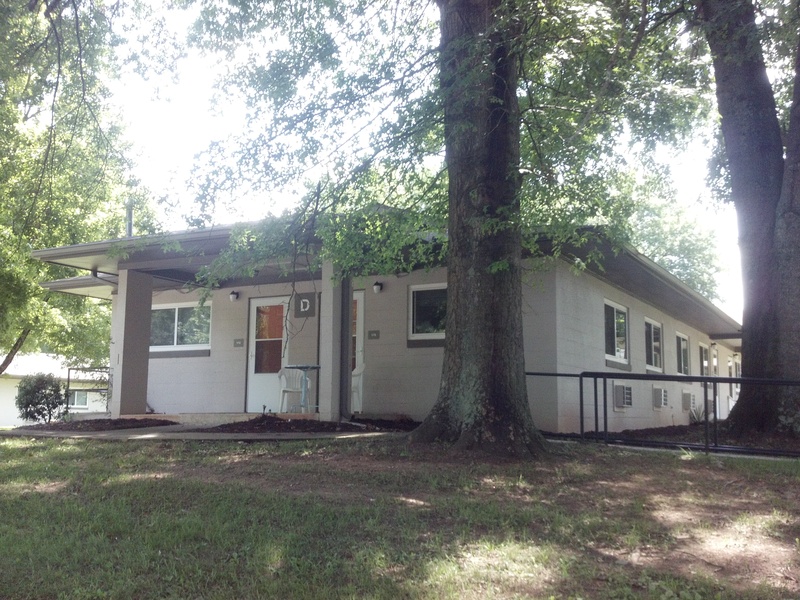 Does Oak Ridge have an overall development plan for the future? Why work so hard on Jackson Square and then put all of the focus on the Mall rebuild? The mall conversion is basically a design patterned after what Jackson Square already is when you think about it. 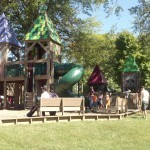 Could we attract additional construction near Jackson Square to expand the experience there? 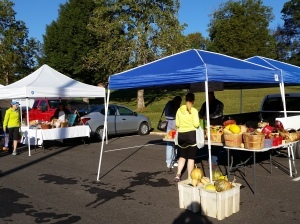 The Farmer’s Market at Jackson Square can help define it as a village center. As long-time Oak Ridgers know, the mall site used to be the “Downtown Shopping Center.” The location was designated to be the city’s commercial center as part of a master plan during the days of federal government ownership of the city. It’s still a logical location for major retail businesses. In contrast, Jackson Square is currently envisioned as something more like a village center — a neighborhood where residents and visitors can walk between their homes, shops, eateries, offices, churches, entertainment venues, the Roane State campus, the Alexander Inn (soon to be a senior living facility), tennis courts, etc. The Jackson Square neighborhood has “good bones” — the potential to become one of those trendy in-town neighborhoods that many of us admire in other cities. The Jackson Square renovation is supposed to be a step toward making that vision a reality. This TIF isn’t about “discounting” Oak Ridge to attract business. It’s about local government leveraging its resources (specifically, the ability to collect property tax) to enable a private developer to help the city accomplish the critically important public objective of revitalizing our city’s commercial core (the mall site). It’s possible that an investor could have bought the mall site and reused it without the help of a TIF, but the community wouldn’t be happy with the kinds of uses that might possibly be commercially viable without the extra help. This proposed TIF starts a public-private partnership aimed at achieving our community’s goals for the mall site as well as the developer’s business goals. Here’s hoping it succeeds for both sides of the partnership! The 3/50 Project is giving us all a simple recipe for preserving and promoting commercial activity in our communities: pick 3 independently owned local businesses that you would miss if they disappeared, and spend $50 each month at those businesses ($50 divided among all three). The basic idea is to commit a total of $50 each month to locally owned independent businesses. 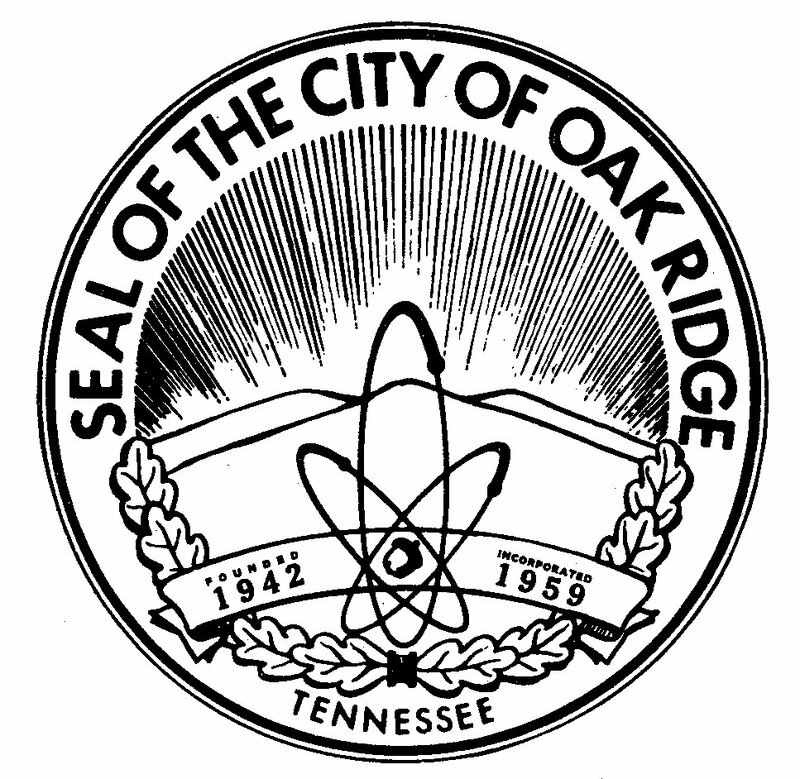 All this is consistent with the concepts of a sustainable local economy and a sustainable environment — for example, the Oak Ridge Environmental Quality Advisory Board‘s draft climate action plan calls for “increasing the local velocity of money” (basically, keeping more money in the local economy and moving it around faster) as one strategy for making Oak Ridge more self-sufficient — and thus more sustainable. 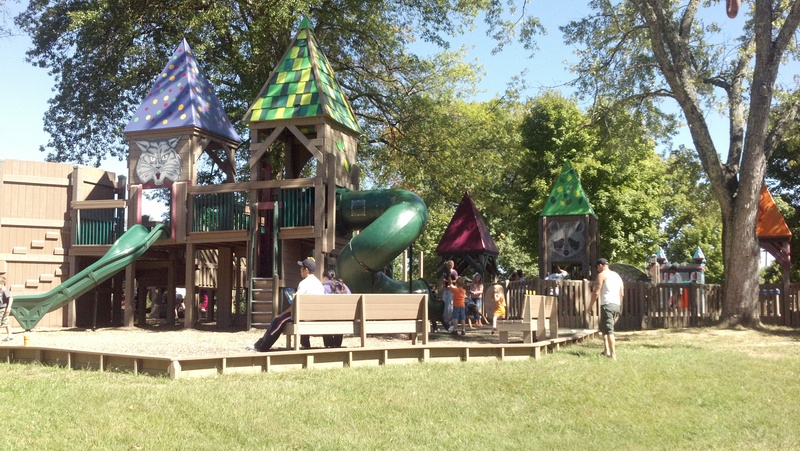 With the Jackson Square and Grove Center merchants, Oak Ridge Chamber of Commerce, and several other local businesses signed on as supporters of the 3/50 Project, it appears that different elements in the community are all together on this. Thinking about the 3/50 concept, I quickly realized that some independent local businesses that are important to me are unlikely to get my business every month. For example, I’m wearing shoes that came from Edwards Shoe Store and I drive a car that was last serviced at Chuck’s CarCare Center, and even though I value these two businesses, I’m unlikely to spend money with them every single month. On the other hand, in any given month I’m likely to spend $50 or more divided between several independent local eateries (places like Homeland Food, the Magnolia Tree Restaurant, Mediterranean Delight, the Flatwater Grill, and the various Mexican restaurants). Most people are likely to have different “threes” in different months — and spend more than $50 in some months. I’ve also pondered a bit regarding some of the 3/50 Project’s criteria — for example, the idea that locally-owned franchise businesses don’t qualify because they have advantages, like preferred vendor lists, specially negotiated vendor pricing, and a regionally/nationally recognized brand name, that true independent businesses lack. Franchises are less in need of customer support than truly independent businesses. However, if my goal as a city leader is to maintain a vital retail sector and keep money in town, I have to care about the success of locally owned franchises — partly because they are more likely to succeed (and thus provide a stronger retail sector). For me, the key idea of the 3/50 Project is that we consumers need to be conscious of where the money we spend is going to end up — and try to make spending decisions that keep more of that money in the local economy. I like having one simple message that tells us to do all that. I hope that our local independent business owners will return the favor by paying attention to customer needs and wants (different operating hours to better serve two-earner households? offering special ordering to better meet customer needs?) — so we will have more and more reasons to spend our money with them.